Now from the perspective of the older guy (oldest one there this time). A little back ground, I retired 7 years ago after 28 years as a Police Officer in South Florida. I was 57 years old at the time and 5”9” at 210 lbs and had high blood pressure from all the fun working there. I dropped 20 lbs and got my blood pressure down to normal pretty quickly just by walking, working around the property and eating much better. This time last year, I signed up for the 7 day fun package at MVT and started working out (on my own). I made good progress rucking and jogging with some strength stuff mixed in. I had one of my regular doctor visits in August and they were worried at first, as I had lost another 20 lbs since my last visit. The classes in Sept/Oct went well but it was apparent that more PT was needed. 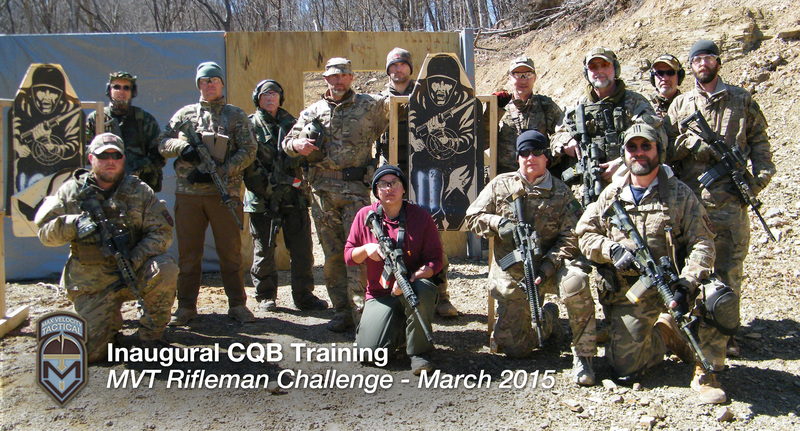 When the Rifleman challenge was announced, I was starting to think about what to do about preparing for that event. About that time, Max & Hunter came out with the training plans. 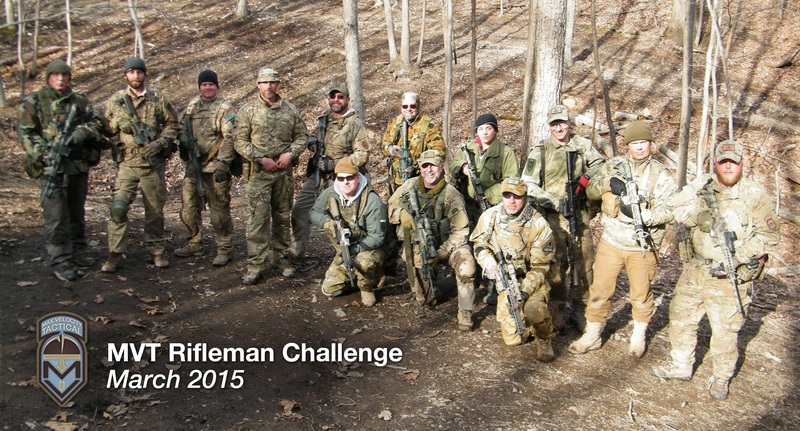 I purchased the “12 week to the Rifleman Challenge Plan” and started on Tue. Dec 30th. I should have started on a Monday but wanted to get started. This is the best $100 I have ever spent. I have never worked out in gym or similar setting and had no idea what I was doing. The plan includes access to a web site with your plan laid out and you get daily emails about the next 2 day activities. The web site is great because you can look ahead at what is coming to plan around, or you can change the order of items on the plan as needed. On March 19th, I did a 2 miler in 23:00 with no pack. On March 23rd (last Monday) I did a 2 mile with 30” pack and rifle in 27:00. So I though that I had a chance of making the time. I did the 2 miler in 29:01, passed the shooting (54), and passed on the navigation with only 3 points found, but on time. Knowing what I know now, I think I could have passed the 2 miler with a better plan, but I will be training harder and WILL pass it next time. I also know that I can do better at the shooting. The navigation was new to me. I under stood the azimuth, distance thing from being a pilot, but had never used that type of compass and maps before (I found Facebook’s compass in one of the Alice Packs). Max gave a short explanation at the beginning and I understood how the compass worked. PT was my biggest problem on the nav. course as you have to go up and down the mountains numerous time. The event was hard physically, very educational, but also a lot of fun. 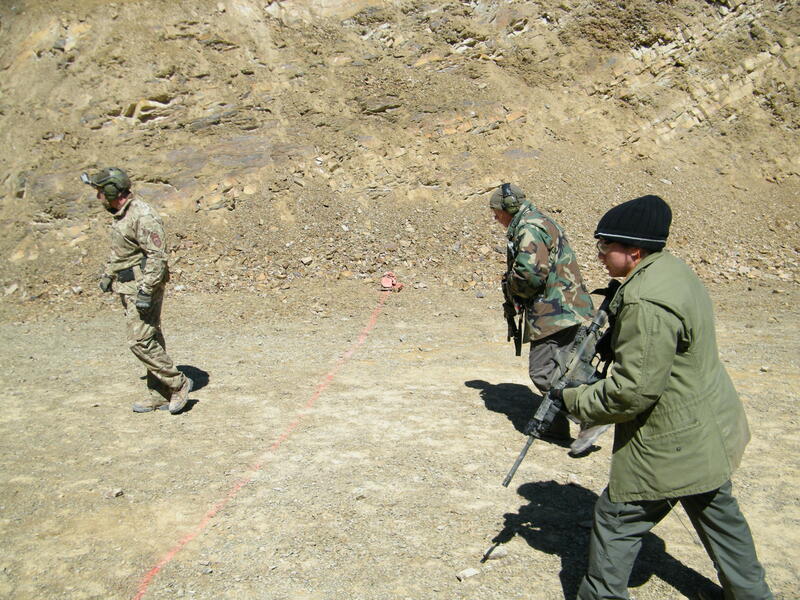 We did some things that you will not get in a CTT or CP class, like the CQB training. In closing, if you are thinking about the challenge but not sure how you will do, I say just do it. If nothing else you get to go back for free to try again. BTW, thanks to Robert at JRH for the coupon.